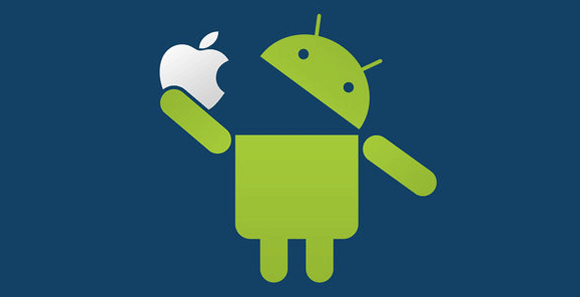 Syncing an iPhone with Mac is really easy using iCloud, but there is no similar easy way to syn Android and Mac. Fortunately, if you can spare a few minutes, you can sync your Android device with your Mac with the help of your Google account and some cloud storage services. Before you start to sync your your Android device with your mac, first make sure to sync your Android device with your Google account. To do this, start your Android device and go to Settings > Accounts > Google, click on your email address and enable the ‘Sync Contacts’ option. If you access your Gmail account using the web browser, you can do the same on both Mac and your Android device. So no need to sync email. If you use apps to access the email, then here’s the procedure to sync it between your Android device and your Mac. Launch the Mail application on your Mac. Click on Preferences > Accounts in the menu at the top of the screen. Click on the + button to add a new account. Enter your Google account’s email address in the ‘Email’ and ‘Username’ fields, and your password in the ‘Password’ field and click on the ‘Add’ button. The Mail app will automatically synchronize with your Gmail account. Launch the Address Book application on your Mac. Go to Address Book > Preferences > Accounts, and select On My Mac. Here you will see two options. One will be ‘Synchronize to Google’ and another will be ‘Synchronize to Yahoo’. Select ‘Synchronize to Google’ option, Accept the terms in the pop-up box. Now enter your Google account’s email address and password. Now click on the sync symbol in the menu bar of your Mac, and select ‘Sync Now’ from the drop down menu. Launch the ‘iCal’ application on your Mac. Click on the ‘Accounts’ button at the top of the screen. Click on the ‘+’ button to add a new account. Enter the ‘Username’ and ‘Password’ of your Google account on the relevant fields, select the ‘Automatic’ box and click the ‘Add’ button. Your calendar on your Android phone will now automatically synchronize with your Mac’s calendar (via Google calendar). Important Note: If you have multiple Google calendars in your Google account, then you need to decide which one you want to sync with your Mac’s iCal. To do this, go to iCal > Preferences > Accounts and select the one you want to use. To sync files on your Android device and you Mac, you can use any cloud storage service. The easiest one is Dropbox. Simply download and install Dropbox app on your Android device and your Mac. Once you do this, all the files in your Dropbox folder will be synced between Android and Mac automatically. That’s it. Now your email, contacts, calendar and files are completely synced between your Android device and your Mac.